Congratulations to Jesse Martin, Winner of Event #43: $10,000 No-Limit 2-7 Draw Lowball ($253,524)! That's a wrap here from the feature table in the Amazon room! 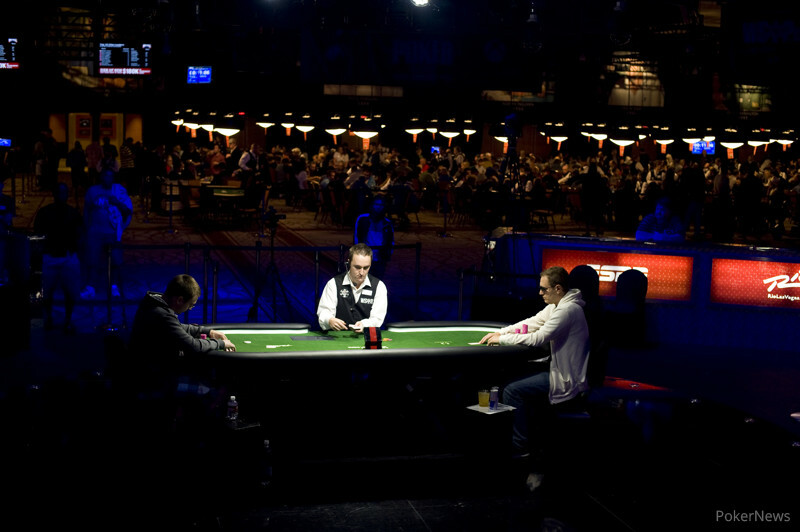 It took just over six levels for the final table of seven to be whittled down to one champion. 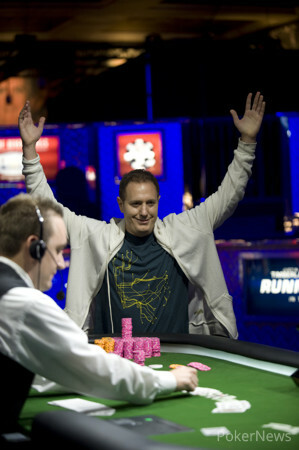 In the end, Jesse Martin was able to overcome 2010 champion David "Bakes" Baker during heads up play to capture the title, the gold bracelet, and the $253,524 in first-place prize money. At the start of the day, it was six-time WSOP champion Layne Flack who led the field, but over the course of play the chip lead traded hands several time. During the sparring at the table, the one player who could not seem to gain any traction was John Hennigan. After roughly an hour of play, Hennigan became the first player to hit the rail when he moved all in and stood pat against Konstantin Puchkov, Puchkov also stood pat but held a better hand and Hennigan was eliminated from play. Following Hennigan's elimination, the remaining players played six-handed for quite some time. Players like Jeff Lisandro, Jon Turner, and eventual champion Martin all found themselves riding a short stack and they all found an eventual double up. After much trading of chips, it was start-of-day chip leader Flack to fall next. Flack's hopes of gaining a seventh bracelet were dashed when he and Martin both drew one card. Both paired up, but Martin's pair was smaller and Flack was eliminated in sixth place. After Flack's bust, the eliminations came at a more rapid rate. 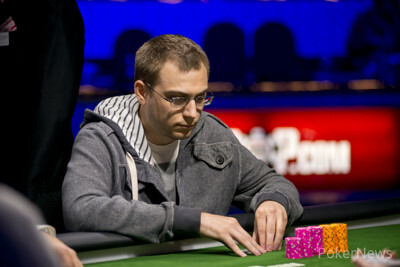 Jon Turner fell at the hands of Puchkov for a fifth place finish and Jeff Lisandro was later eliminated by Baker. Martin had a massive chip lead coming back from dinner for three-handed play and he never looked back. Puchkov fell quickly after dinner at Martin's hands and suddenly Martin and Baker were heads up for the bracelet. After several raise-and-takes, the match finally came to a head a mere nine hands in. Martin opened with a raise from the button and Baker moved all in over the top. Martin called and both players drew one card. Baker picked up a king to give him a king-low while Martin was able to pull a winning ten for a ten-low. Baker was eliminated as the runner-up and pocketed $156,674. We here at PokerNews extend our congratulations to Jesse Martin on grabbing hold of his first WSOP bracelet. That does it from the only No-Limit 2-7 Draw Lowball event of the 2013 WSOP! Be sure to check out our Live Reporting page for updates from other events on the tournament floor! Hand #176: Jesse Martin made it 62,000 from the button and David "Bakes" Baker replied by shipping all in over the top for 447,000. Martin called and both players drew one. Martin had the better draw but both players were drawing live to make a low. At Baker's suggestion, both players ripped it off at the same time. Baker tabled a while Martin showed a , giving Martin a winning ten-low and eliminating Baker in second place. Hand #172: Martin made it 62,000 from his button and David Bakes Baker folded. Hand #173: Baker opened to 55,000 from the button. Martin folded and Baker took it down. Hand #174: Martin opened to 62,000 from the button and Baker got rid of his cards. Hand #175: Baker raised to 55,000 from the button and Martin moved all in over the top. Baker quickly released and Martin took down the pot. Hand #168: David Bakes Baker received a walk in the big blind. Hand #169: Baker made it 55,000 from his button and Jesse Martin folded his big blind. Hand #170: Baker received a walk in the big blind. Hand #171: Baker raised to 55,000 from the button and once again Martin folded. Hand #167: Konstantin Puchkov raised to 62,000 from the small blind and Jesse Martin shoved from the big blind. Puchkov called all in for about 582,000 and stood pat. Martin drew one and the hands were tabled. Martin turned over a to make a 9-7 and score the elimination. Hand #165: Konstantin Puchkov raised to 55,000 on on the button and David "Bakes" Baker called from the big blind. Baker stood pat, while Puchkov drew one. Baker check-folded to Puchkov's bet of 60,000. Hand #166: Jesse Martin raised to 62,000 on the button and Konstantin Puchkov called from the big blind, drawing one. Martin drew two and Puchkov bet 48,000. 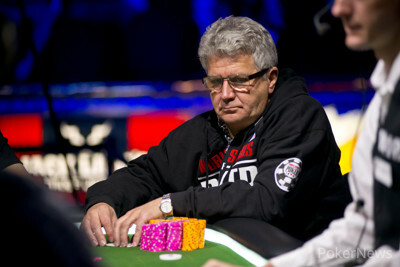 A call from Martin revealed for Puchkov, while Martin tabled to take down the pot.